Hotel manager Mr Alex Palaghiu, would like to welcome you to the newly refurbished ibis Styles London Walthamstow. Whatever the purpose of your trip, we've got you covered. Need an epic snooze? Rest and revitalise with SweetBeds in every room. Hungry or thirsty? Enjoy our hearty Continental breakfast while staying hydrated with free tea & coffee in the lobby 24/7. Need to wind down? Visit our bar to relax with a drink or two after a long day. 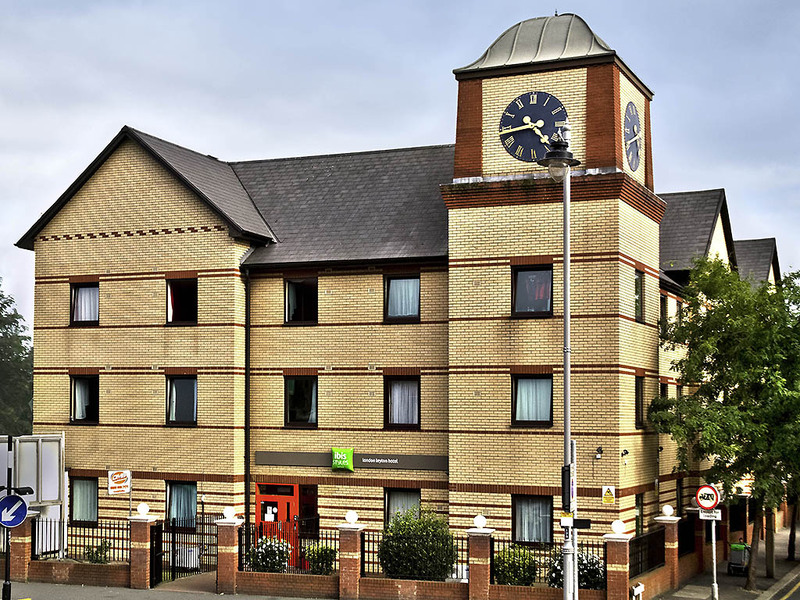 The ibis Styles London Walthamstow hotel is only minutes away from the city centre, Stratford Westfield Shopping Centre and the Olympic village . With central London a hop, skip and a 20-minute tube journey away, you'll be spoilt for things to do. Up-and-coming Walthamstow is a 25-minute walk from our doorstep and the iconic Olympic Village in Stratford is roughly three miles away. The Unwind with a coffee, sip a chilled sauvignon or bond over a beer or two. Our stylish on-site bar is the perfect place to kick back and relax or spend quality time with your travel companions. The staff are always very nice. One thing was that we took the duvet out the cover as it was too warm and the duvet was disgustingly filthy. Nice place, near to the bus station. One of our rooms was smelling bad due to the smell that was coming from the toilet, we informed it in reception and they changed the room. The internet is good, but sometimes was not working. Nice breakfast. We have stayed only once before this visit and were just about satisfied with our 2 night stay. There were 'major' renovations taking place so you accept some inconvenience. The only reason we chose Ibis was because it was close to relatives and easy walking distance. This visit however left a lot to be desired. We were told we would be in one the 'new' rooms. OMG, to say we were disgusted with the room was an understatement. It was only just big enough for one person but for two..forget it. we couldn't both stand in the same area in the 'room' and there was only just enough room to get round the bed. The bathroom door couldn't fully open into the room because it caught on the bottom of the bed. There was a desk and table that took up what would have been valuable space. The bathroom served its purpose although the shower pressure was pathetic. The best bit about the room was the bed was comfy, although there was only one spare pillow. I was disappointed because I booked the hotel in plenty of time and expected a better standard of room. Moving onto the rest of the hotel, the lift only went to the 2nd floor and we had to walk up the next staircase to reach our floor. The stairways were dirty. The reception staff were very pleasant and so was the security guard. I have to say the best bit about our stay was the breakfast. I have stayed in Ibis hotels before and they have been very nice but this one really needs a face lift. I would also like to bring to your attention that when we arrived back on our 2nd night there was an unbearable smell of 'weed' so your guests were obviously smoking drugs. The only disappointment was our room with it's low ceiling and uncomfortable bed. Service was not great at check in. We got sent to the wrong building which we found out after we couldn’t find the room number that matched ours. Traipsed back over the road. Then the lift broke with the four of us in it which scared the children as it felt like it dropped a few feet. When they got the lift back to the ground floor the receptionist said it was our fault and probably because of all our luggage! We only had hand luggage!! There was no offer to help and we used the stairs from then on. The carpets in the hallways are all stained and the room smelled of cigarette smoke. An altogether very unpleasant stay. I had a pleasant stay there for 5 nights during a business trip to London. Breakfast was fine. Unfortunately, the room was rather noisy because the window did not isolate enough the traffic noise coming from street. Warm water seems to be limited when many guests want to take a shower at the same time. Good value stay. Can seem somewhat disorganised but staff are always friendly. Room clean and tidy. Everything that I needed was there. Would prefer to be in main building. At ease and very helpful. The hotel itself was fairly clean and the staff were fine, but the noisy room and paper then glass windows made unpleasant. I have fed this to reception on my departure and have also sent a note to customer services without reply. The drains don’t flow properly. Need a hand towel as well as the thin and small bath towels. Bed cover also very thin. Breakfast horribly crowded and people coming in from the street and taking out loads of food wrapped in paper napkins. Not enough staff to monitor if everyone resident or not. Still, it is very cheap! very good staff and ever thing was clean. beds were very comfy. overall I had a very good stay . but a lot of confusion over were to get and were to sit at breakfast as staff could not speak English. Very good,but the window in 305 did not shut. Noise was the issue, we both lost sleep. Excellent room standard,but your attention to detail,in this instance the window, meant we had a very poor experience at the Ibis. Why you refurbishing to a high standard and neglect a basic requirement to shut out city noise and the wake up call of the pigeons. I find this difficult to understand. I left in a very poor frame of mind.